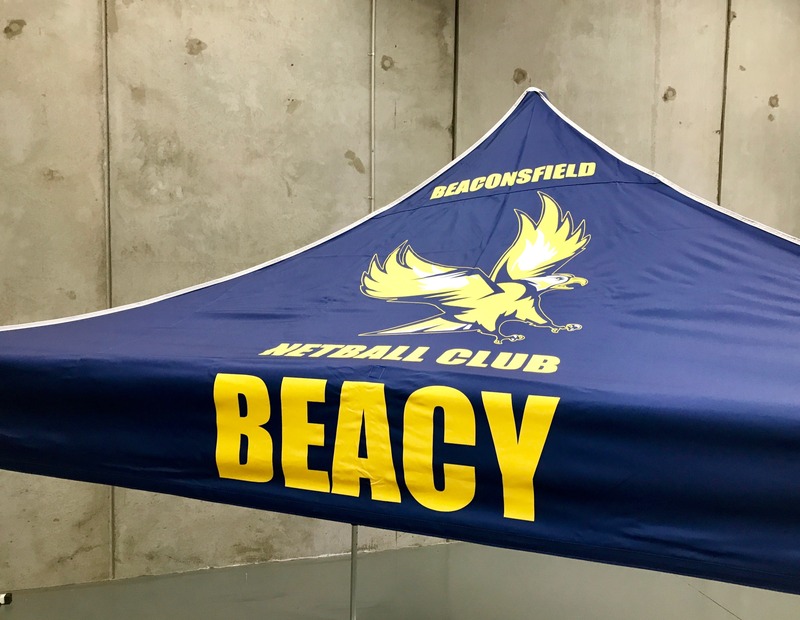 Branding your sports club is easy with a super strong and vibrant printed marquee. Full colour printing on all four sides. Full colour wall printing is also available. Check out our printed marquee page for more information.